The National Education Association filed its annual financial disclosure report with the U.S. Department of Labor last week. The union’s fiscal year runs from September through August, so this report showed only the preliminary effects of the U.S. Supreme Court’s Janus ruling, which banned the collection of agency fees from nonmembers. The report does indicate some of the budgetary moves NEA made in anticipation of that ruling. The national union’s total income in 2017-18 was almost $392 million, but it spent less than $357 million — about $30 million less than it did in 2016-17. According to NEA, almost all those cuts came from its “political activities and lobbying” expenditures. That seems surprising in an election year, but we should have learned long ago not to accept the union’s definition of “political activities” at face value. That’s grist for a different column. Because it closes out only two months after the Janus ruling, the 2017-18 report will be the benchmark by which to compare future NEA disclosure reports in order to measure the effects of the agency fee loss over time. The consequences for union affiliates in the former agency fee states will be deep but gradual. Being the most financially sound of all NEA affiliates, they have a long way to fall before feeling any pain. Those agency fees and induced memberships allowed NEA to easily subsidize operations in right-to-work states, where many union affiliates struggle to recruit and retain members. There are 11 NEA state affiliates that receive more than 20 percent of their revenues from the national union. Those are standard recurring subsidies, but NEA finds itself spending additional funds to bolster affiliates facing extraordinary expenses. These do not always turn out to be good investments. In 2009, the insurance trust of the Indiana State Teachers Association collapsed due to risky investments and mismanagement, leaving the affiliate in dire financial straits. NEA created a real estate firm — NEA Properties Inc. — for the sole purpose of purchasing the state union’s headquarters building and leasing it back to the organization. The state union was then to repay NEA over a period of many years. Five years later, NEA was forced to forgive $6 million of the state union’s debt and refinanced the loan to $15 million at 2.5 percent interest, payable by 2028. The state union has since kept current, but NEA spent $1.9 million last year to maintain the property. NEA placed a trusteeship over the South Carolina Education Association in 2010 and still maintains oversight over its finances. The state union received 38 percent of its income from NEA last year. It was locked in contentious contract negotiations with its own staff before reaching a tentative agreement in September, but the contract was nixed by NEA for being too generous. The South Carolina staff union filed an unfair labor practice complaint with the National Labor Relations Board. This year, the Nevada State Education Association suffered a devastating loss when its largest local affiliate, the Clark County Education Association, seceded and became independent. With its total membership essentially cut in half, the state union sought help from NEA. The national union not only assisted the state union in forming a competing Las Vegas local but also floated a $1.2 million loan, which is supposed to be repaid from the proceeds it expects to receive from litigation against the Clark County Education Association. The terms are similar to the Mississippi loan. The interest rate is 3.5 percent, but all interest will be forgiven if the Nevada union makes its payments on time. 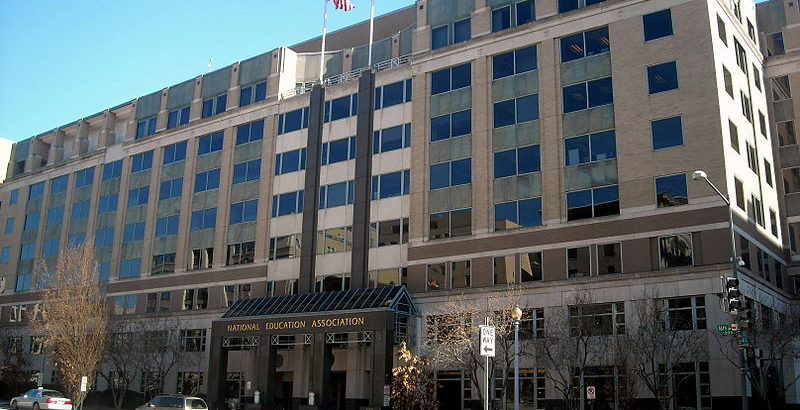 If it loses its litigation, NEA may be on the hook for another bad loan. One would think NEA has its hands full bolstering its own affiliates, but the union also lent $1 million to the National Board for Professional Teaching Standards. NEA charged no interest but accepted as collateral access to the board’s library of videos by nationally certified teachers. At last check, the board’s financial status was also shaky, which makes its balloon payments in 2020 and 2021 far from assured. When there is plenty of money to go around, it’s easy to live with unsound economic moves. When supply shrinks at the same time demand grows, it may lead to a price NEA cannot pay.